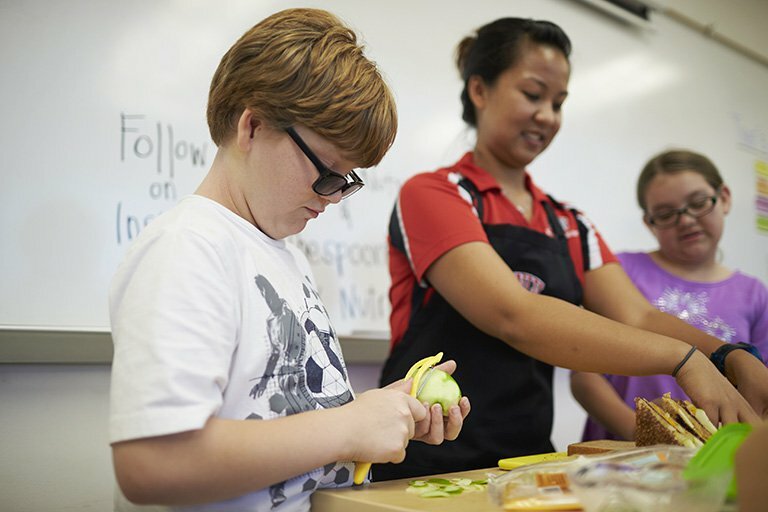 Nutrition Sciences prepares students for the health care field with an evidence-based approach to nutrition and dietetics and medical nutrition therapy. Nutrition Sciences programs are student-focused with contact hours provided through lecture-based courses, laboratory courses, and field experiences supervised by registered dietitians/nutritionists. Summer and part-time work, or volunteer experiences in the profession, are encouraged to help bolster a competitive application for the dietetic internship. Nutrition and dietetics professionals have a unique knowledge of the science and art of nutrition. The blend of scientific knowledge and social and cultural factors influencing what people eat enables registered dietitians/nutritionists to assist individuals in health promotion, disease prevention, and disease management. The Bachelor of Science in Nutrition Sciences prepares students with an interest in human nutrition to enter the health care field. The student-focused programs include contact hours provided through lecture-based courses, laboratory courses, and field experiences with practitioners. Summer and part-time work, or volunteer experiences, in the profession are encouraged to help bolster a competitive application for the dietetic internship. Concentrations are available in dietetics, and sports nutrition. Complete a Didactic Program in Nutrition and Dietetics (DPND) accredited by the Accreditation Council for Education in Nutrition and Dietetics (ACEND). Apply for, become accepted into, and complete an ACEND-accredited Dietetic Internship (DI). The UNLV DI completes this step in the process. NOTE: Effective January 1, 2024, students most hold a M.S. degree in order to sit for the National Registration Examination for Dietitians. UNLV does offer a M.S. in Nutrition Sciences degree, requiring application for admission after earning the B.S. degree. Students pursuing the registered dietitian/nutritionist credential need to complete the Didactic Program in Nutrition and Dietetics (DPND). Students can simultaneously fulfill the bachelor of science in nutrition sciences and the DPND requirements. The dietetic internship is designed to prepare interns to meet entry-level skills expected of the Registered Dietitian. Students wishing to enter this program must complete DPND requirements before applying. Those pursuing the Dietetic Internship must apply to the UNLV Graduate College if they are accepted to the internship.